Despite the European Union’s announcement of A European Agenda on Migration in May 2015, precarious forms of migration culminating in fatalities at sea continue at record levels. Over 3700 people died during the precarious journey across the Mediterranean in 2015, rising to more than 5000 people in 2016. Crossing the Mediterranean Sea by Boat provides a rigorous, evidence-based assessment of EU policies based on the in-depth qualitative research the project has carried out directly with those making the dangerous journey across the Mediterranean Sea by boat. 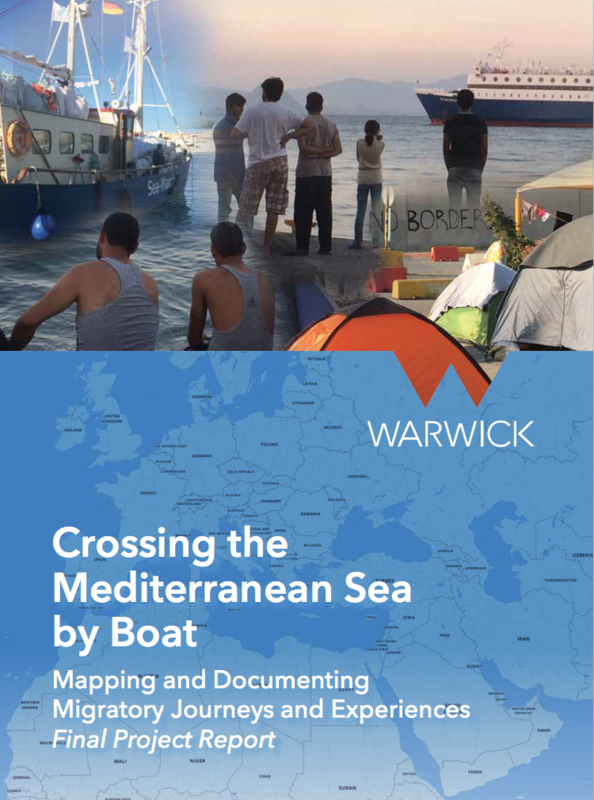 Crossing the Mediterranean Sea by Boat is an international project comprised of researchers at the University of Warwick, University of Malta, and the Hellenic Foundation for European and Foreign Policy (ELIAMEP, Athens). The research team has carried out 257 in-depth qualitative interviews with a total of 271 participants across seven sites in two phases: Kos, Malta and Sicily from September-November 2015, and Athens, Berlin, Istanbul and Rome from May-July 2016. Additional interviews were carried out in Malta until March 2016. 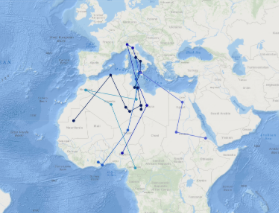 Uniquely, the project focuses directly on the impact of policies upon people on the move, drawing together policy analysis and observational fieldwork with an in-depth analysis of qualitative interview data with people making – or contemplating making – the dangerous journey across the Mediterranean Sea. As such, the project provides previously-unconsidered insights into the effects of policy on the journeys, experiences, understandings, expectations, concerns and demands of people on the move. Crossing the Mediterranean Sea by Boat is funded by the UK Economic and Social Research Council as part of the Mediterranean Migration Research Programme, and runs from September 2015 – February 2019. It is led by Principal Investigator Dr Vicki Squire (PaIS, University of Warwick), with Co-Investigators Dr Angeliki Dimitiradi (ELIAMEP), Dr Maria Pisani (University of Malta), Dr Dallal Stevens (Law, University of Warwick) and Professor Nick Vaughan-Williams (PaIS, University of Warwick). The project report and online interactive map are now available. Please share your feedback on the map with the team here.